Father's Day is around the corner and it's a big deal here for my husband and dad. I love to make them decorated cookies and customized gifts. My kids love to create things for them as well. It's so important to let the people that love and protect you, know just how much you appreciate and love them. Many of my cookie friends are starting to reveal their Father's Day sets. I love all of the barbecues, ties and golf. But my dad is a master scuba diver now and that's pretty cool! I love that all my life he's shown me that education is its own reward. He recently traveled to Fiji with several scuba friends for an amazing week of dives. 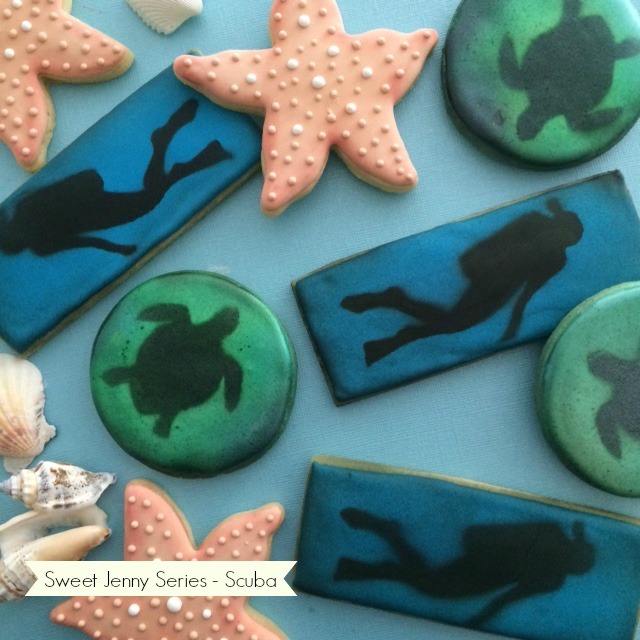 I thought it would be perfect this year to create cookies of a scuba nature. 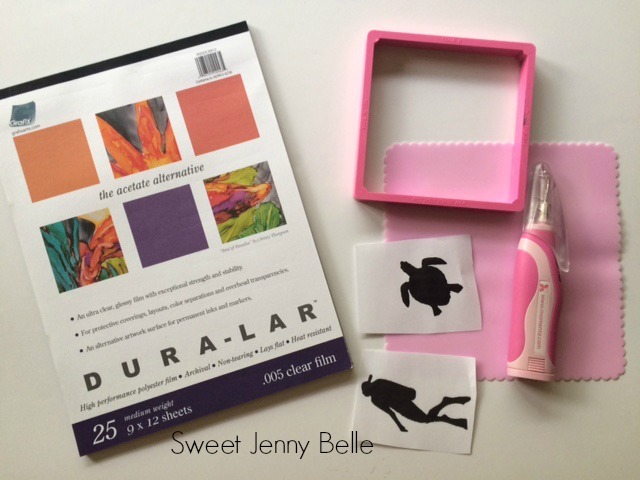 Now unfortunately I don't always plan in advance and I didn't have time to purchase scuba stencils. 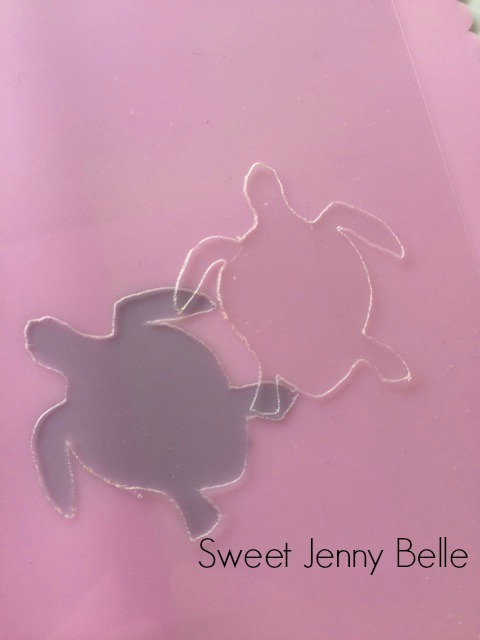 I could have done a royal icing transfer, but I thought this would be a great time to show you how easy it is to create your own stencil! Since I like to use a Stencil Genie when I airbrush, the first step for me is to frame my genie around the image and material. This way I will know the image will be centered and easier to place on my cookie. 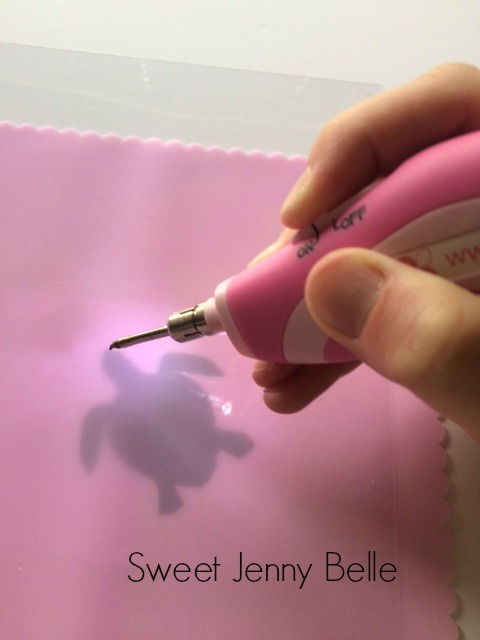 For my stencil cutting setup, you have to create a sandwich in this order: image to copy, transparent cutting mat and then the stencil material. You will be able to see the image clearly and the mat is not slippery, so it doesn't move around. And then cut! It's really easy, isn't it? There is the slightest smell, so I open a window right by where I am cutting. You could also easily take this project outside to cut. The tip on my cutter is only active when I activate two buttons and cools quickly! And you are done! Just pop out the positive image and your are good to go. 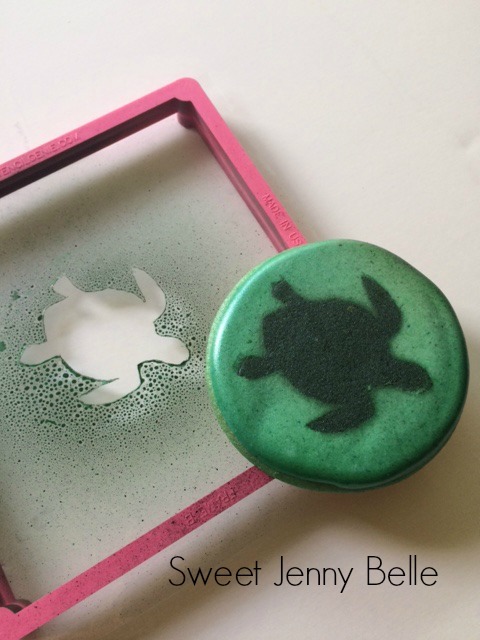 You can use the stencil for airbrushing or icing spreads. These stencils will be more effective with images that are not too detailed. 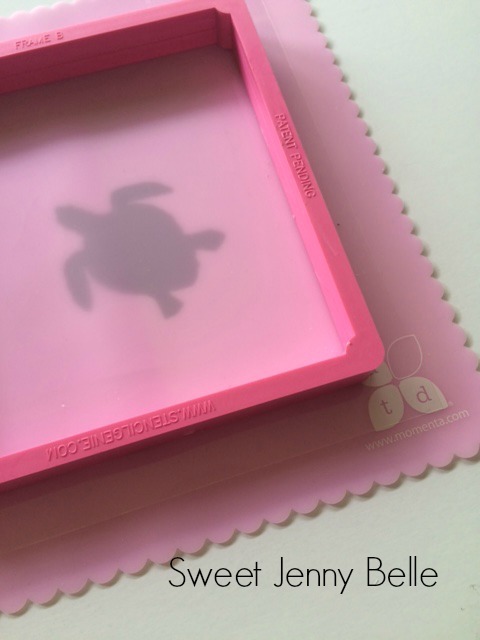 Want to see the airbrushing stencil in action and done only with one hand? Come join me on SnapChat! I walk you through the steps and if I can do it holding my phone, you can do it too! Search for "sweetjennybelle" and add me, I'll add you too! Did you like those starfish? I'll post the step by step tutorial tomorrow or join me on Facebook and you can watch my tutorial video! Are you looking for a royal icing recipe for your cookies? Click on over here! Thanks for joining me and come back tomorrow for more scuba fun!